As he had earlier promised, 2Baba has released a new song to mark World Refugee Day. The song titled ‘Hold My Hand’ is a compassionate call to everyone to show love to one another especially those in need. ‘Hold My Hand’ features intro vocals by Grace Mathew, an 8-year-old girl from an Internally Displace Persons (IDP) camp who witnessed the killing of several of her relatives in Borno where she fled from. Grace shares a chilling tale of the challenges they face daily. The track is written and performed by Innocent ‘2Baba’ Idibia, and produced by Bolji Beatz. 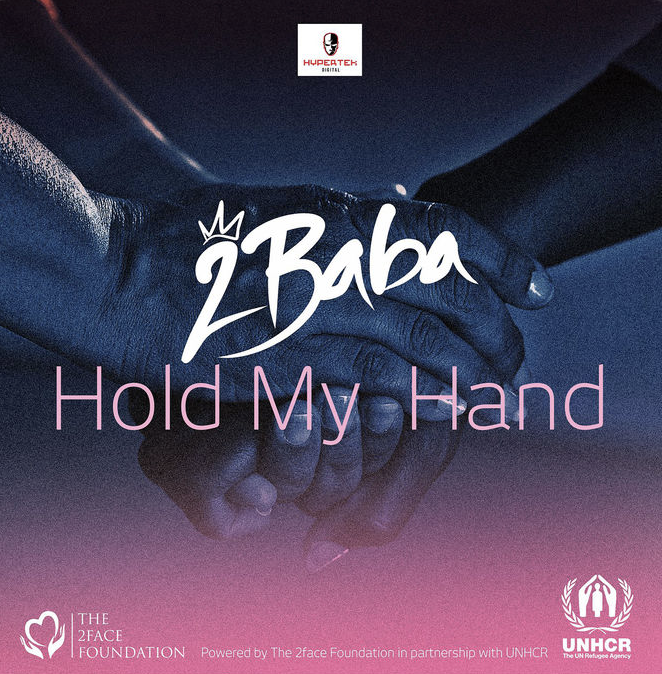 Leading by example, 2Baba pledges to donate 60% of the proceeds from the song to the IDP cause via the United Nations High Commission for Refugees (UNHCR) toward the humanitarian efforts to help IDPs in Nigeria. 2Baba who has been active in humanitarian works had earlier this year announced the 2Face Foundation’s partnership with UNHCR to help the plight of IDPs after which he made a donation of 3.5 Million Naira to the project. Prior to this, he had commissioned project 14/14 which sought to raise 14 million Naira in 14 days for IDPs. The proceeds from the 14/14 crowd-funding initiative have been donated to IDPs in Benue state. 2Baba has made a public call to all Nigerians, to stream and download the song, and also use it as Caller Ring Back Tune, because by doing so, “we will all be doing our bit”, he said. some foreigners actually seek asylum to Nigeria? Blac Chyna stunning in new photos!